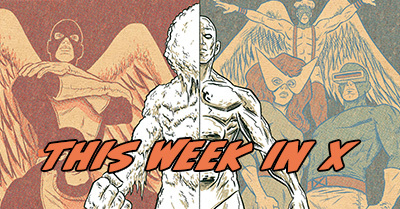 This week’s Back Issue Review is hyper-focused on four really amazing recent runs that would get me caught up on comics coming up on this week’s pull-list. 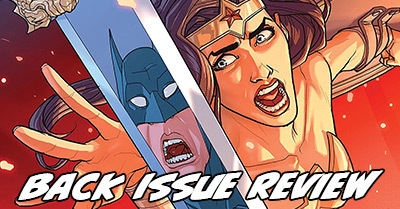 Seriously, these were some of the best comics out in 2017 and I didn’t even know it! They really put into perspective how energizing a well-made big and adventurous comic can be. Sometimes being a comics fan is about branching out. As I have documented in the past, I started reading comics with Marvel’s X-Men #3 in 1991. At the time I had no aspirations of reading other titles or publishers – I just wanted to know what these mutants were all about. However, once I visited a comic store, the purchase pattern started expanding. All the X-Men. Then a bit of Image. Oh, and Wonder Woman of course. Hey, these new Dark Horse superheroes look cool! That’s part of why I like putting together this list. I’m a complete Marvel Zombie, a phrase historically indicating someone who reads the entire Marvel line. However, I’m not just a Marvel fan – I’m a fan of the comic medium. That means sometimes I need to just see what’s out there to break out of my normal fan comfort zone. Hopefully this list helps you with that, too! Buy this comic. Buy it. Buy it! Kelly Thompson is the brilliant author of the CBR “She Has No Head” column and the books The Girl Who Would Be King and Storykiller who finally exploded as a comic author in 2015 with Jem from IDW and Captain Marvel and the Carole Corps from Marvel. She is the real deal when it comes to amazing characters, and she also weaves in a thick vein of feminism (i.e., everyone has an equal opportunity) into all of her work. 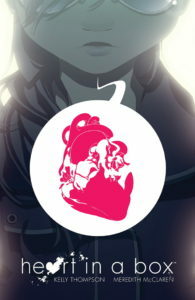 This is her first original graphic novel, paired with artist Meredith McClaren, about a girl who needs to literally put her heart back together after a breakup. You need it. This is a French comic translated and released by a Marvel imprint. The confusing thing is that it’s hit hardcover before – once for the original series, and once for the follow-up Revelations. This is longer than each of those , but not long enough to be both of them in one book(the original series were 64pg issues, the follow-up 48 – we’d have to assume 20% ads to fit into this sub-300pg book, which is high). I’m not sure what to tell you, but it looks cool!